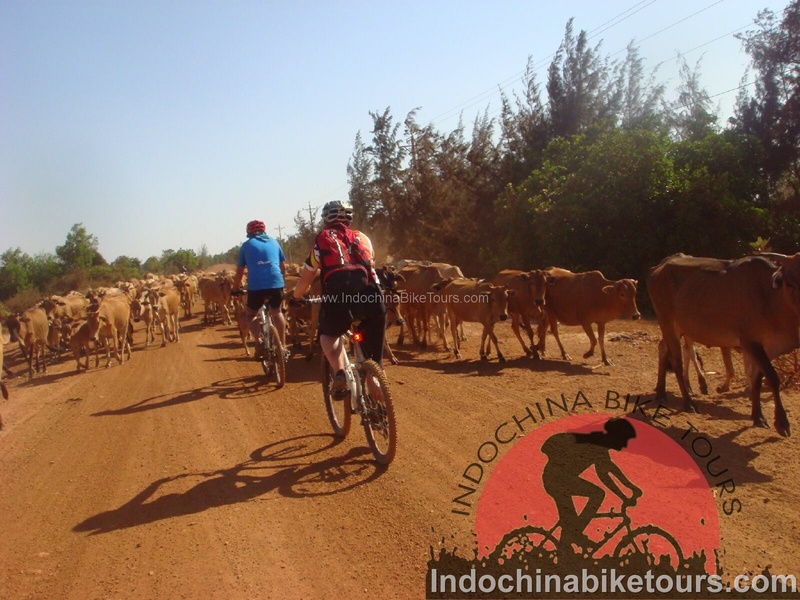 Cycling To the Southern Cambodia by trails and back-roads. 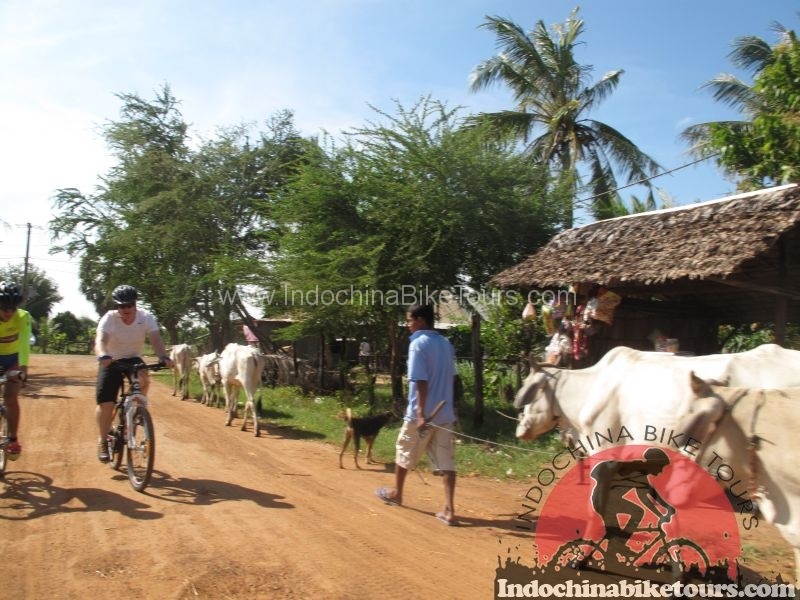 Discover the beauty of this low profile but picturesque area on an unforgettable bike trip. 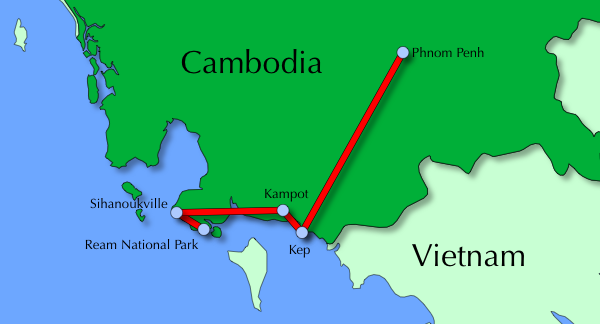 This trip runs Phnom Penh to Sihanoukville. Coconut trees, pepper farms, fishing villages, fresh seafood and light breezes: this is the coast of Cambodia. Even more relaxed than the rest of the country, this area makes for truly beautiful cycling made even better by some lovely places to stay. 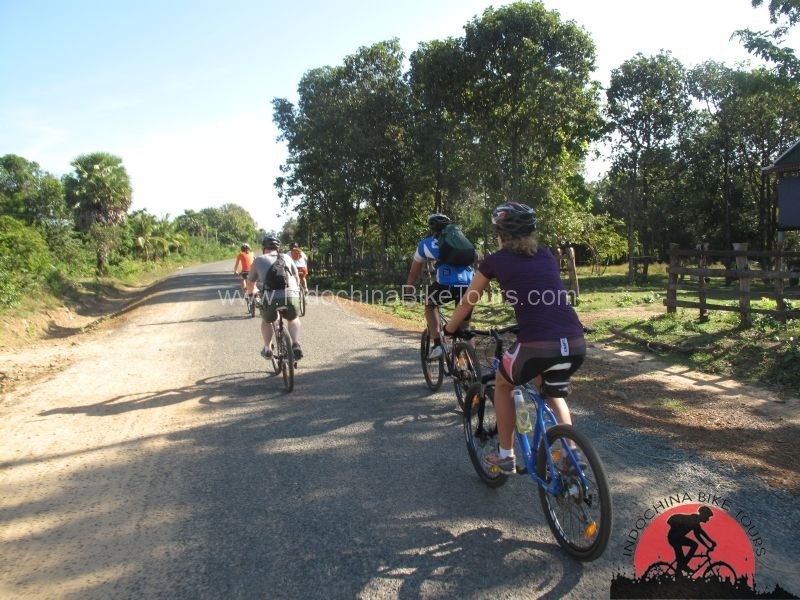 Riding on the trails and back roads, well away from any traffic, this ride takes you through limestone karst country down to the coast, then onto the lovely town of Kampot. 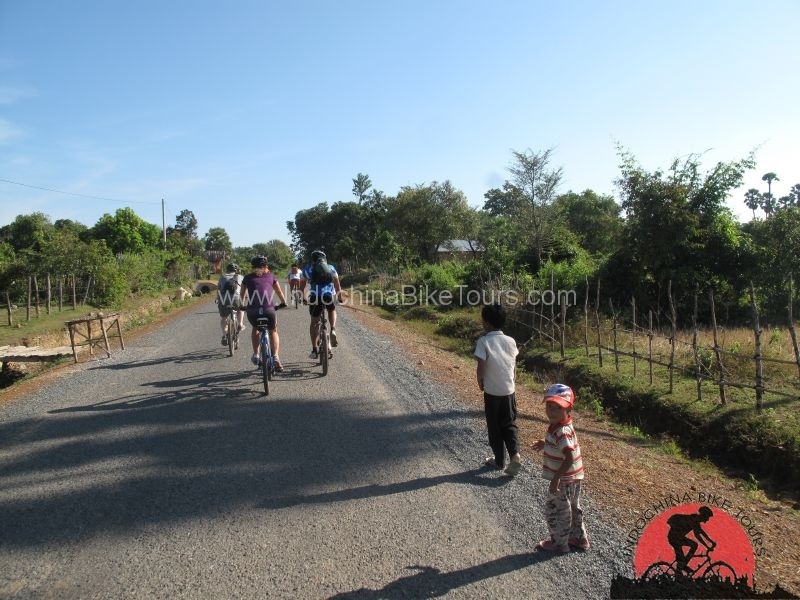 The riding just gets better every day as we skirt Bokor Mountain on our way to the powder white sands and aqua blue waters of Sihanoukville. 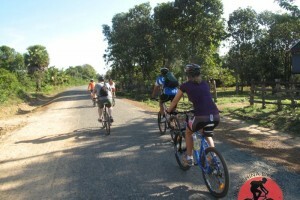 good ride for those who want a mix of enjoyable, relatively easy rides with a nice big challenge in the middle. 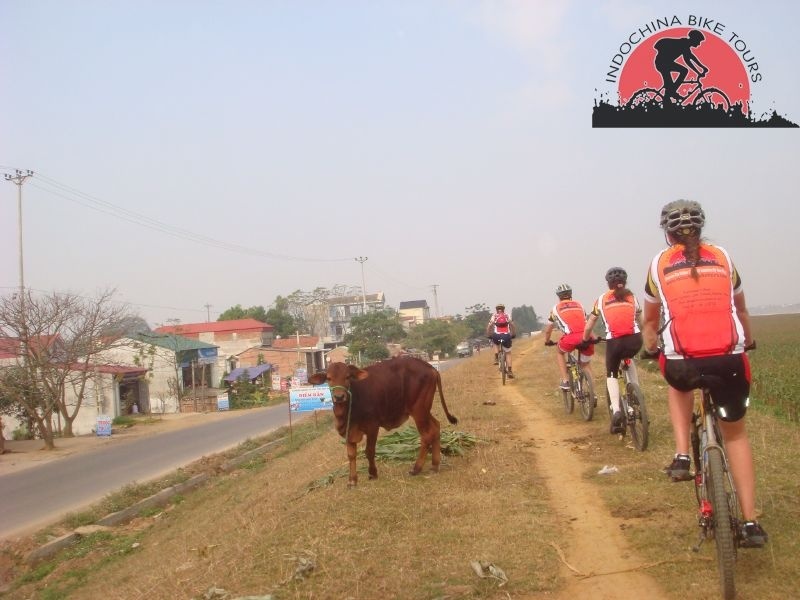 For those looking for a gentler, easier ride, the support vehicle is always on hand. Biking Distance : 80 km. Breakfast overlooking the Gulf of Thailand is a nice way to start our day. 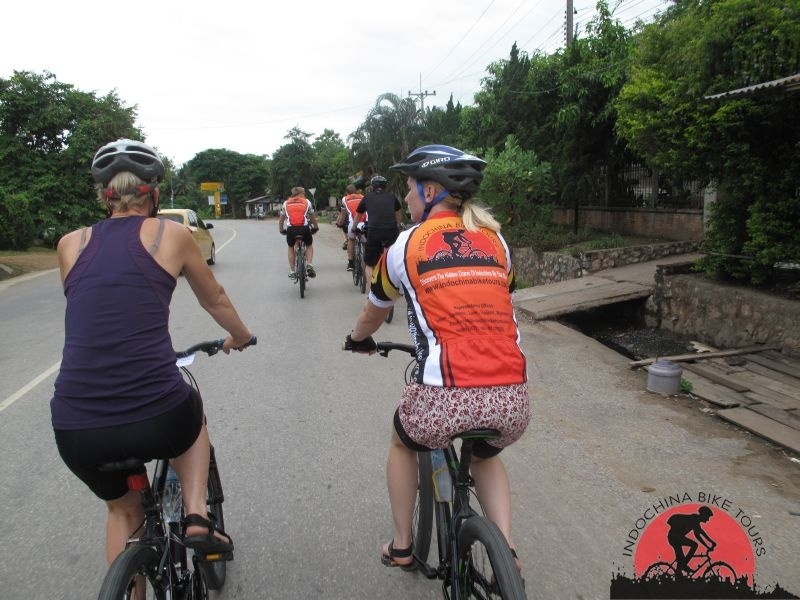 A ride around the Kep National Park and the salt flats then brings us to the pier where a short boat ride is required to reach Rabbit Island. While the beaches of Kep are subject to the brown silt that usually comes with river outlets, Rabbit Island features lovely white sand in a secluded setting. We enjoy lunch and a swim here before boating back to the mainland. 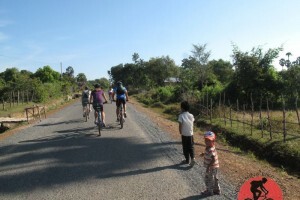 We then have a pleasant ride on trails and back roads, past the Secret Lake to Kampot. This is a lovely town, set on an estuary known as Kampong Bay. Various French-era buildings are still intact here and some have been restored by restaurateurs. After a wholesome breakfast, it’s time to get back on the bike, but after the challenge of the last ride, we are in for something a little more relaxed today. 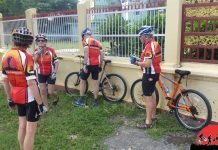 We start by riding past the various beaches of Orchetuel, Serendipity and Ottres and then take to the small dirt roads that lead us toward the eastern end of the town. 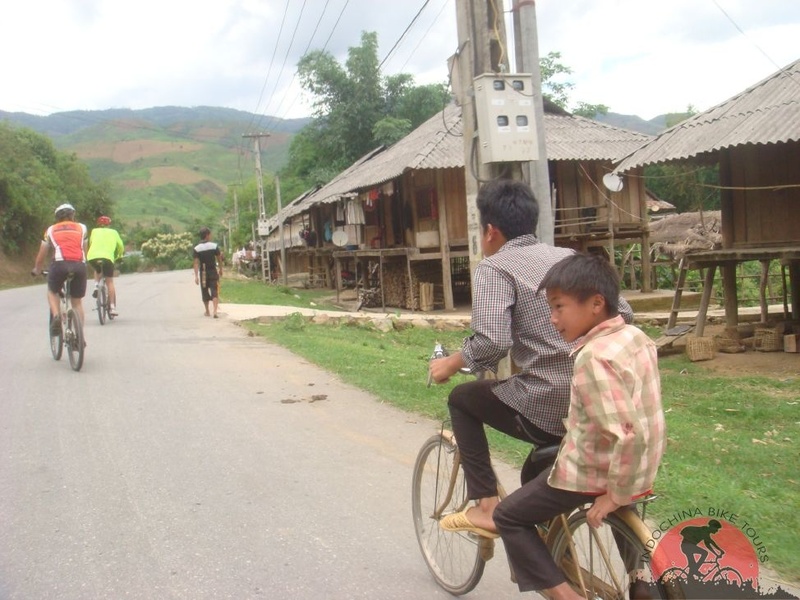 The tourist restaurants quickly vanish and we are back in the countryside where kids tend to buffalo and adults prepare their fishing nets. We arrive at Ream National Park in the late morning and then take a boat to explore this marine national park. We have a modest, but tasty lunch before returning to town by car, arriving mid afternoon with plenty of time to enjoy the beach. The tour concludes after breakfast. You may wish to stay on in Sihanoukville or you might want to return to Phnom Penh. 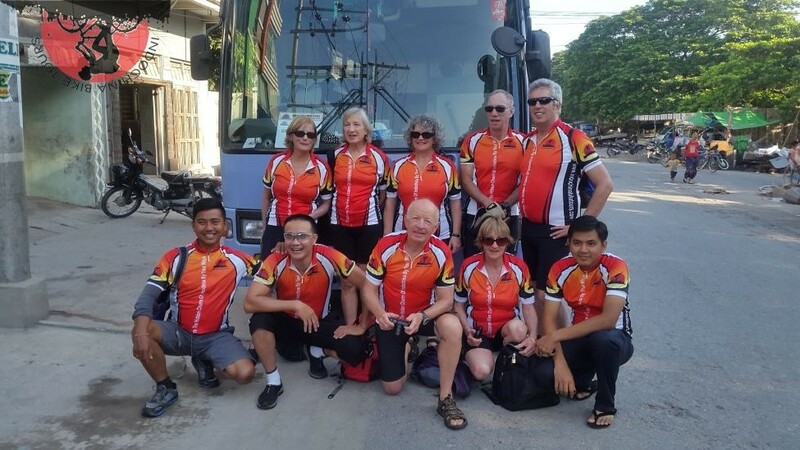 If returning to Phnom Penh, you are welcome to travel in our support vehicle, but if timing does not suit, a reliable coach service or a flight are also options.